We’d love your help. 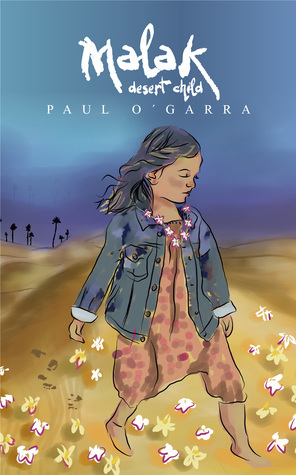 Let us know what’s wrong with this preview of Malak Desert Child by Paul O´Garra. Malak is a tiny beautiful five year old girl child. She lives in a cave in dire poverty with her drunkard father her Saharoui mother and sister. Her enemies are all the town children who victimize her and her sister because of their race and condition. Her only friend is a single mother named Latifa and Malaks grandmot The first time I saw her she melted the ice in my soul. To ask other readers questions about Malak Desert Child, please sign up. Paul OGarra was born in Gibraltar on the 8th May 1952. So many Gibraltarian people exiled by war to the Uk, and to further off, and more exotic places such as Madeira, French Morocco, Jamaica, and Northern Ireland, were returning on troopships, heavy with tears of nostalgia for a homeland which had been, and would never be again. They, Paul and his three siblings were the children of schoolteachers Paul O´Garra was born in Gibraltar on the 8th May 1952. So many Gibraltarian people exiled by war to the Uk, and to further off, and more exotic places such as Madeira, French Morocco, Jamaica, and Northern Ireland, were returning on troopships, heavy with tears of nostalgia for a homeland which had been, and would never be again.